Oh hi there, 30 JoAnns from the Remix Challenge. It's a little exhausting for me to look at, because I feel like they're all staring at me, wanting to borrow my clothes. - I never wore the sequin shirt that I claimed would be the "piece de resistance" of the entire challenge. I am also apparently not good at predictions, so do not rely on me for lottery numbers or your future children's names*. 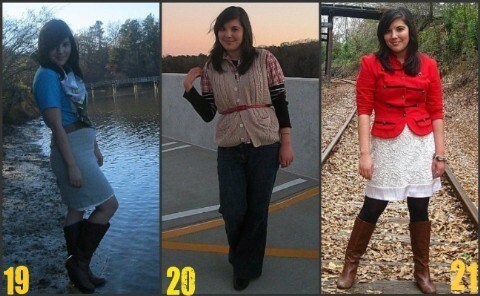 Actually, not wearing the sequin shirt became deliberate after the 20th outfit. It was getting colder, and I couldn't think of a different way to wear it without covering the sleeves. 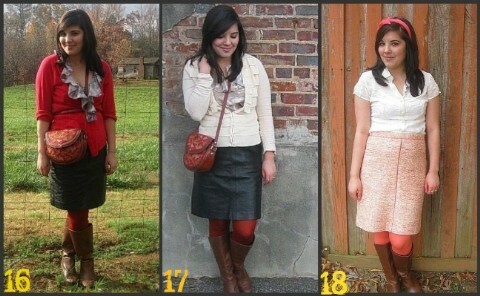 - Most-used items: the French Connection white bridal dress (5), the Old Navy leather skirt (5), the Target boots (20!). 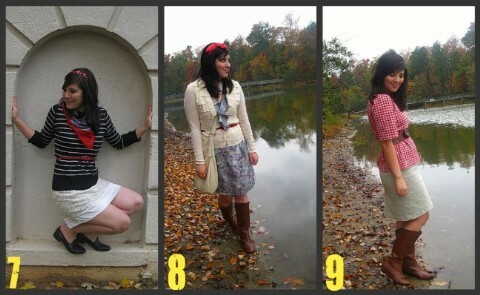 - Favorite outfits: Anything that involved a red/black/white color scheme or the J. Crew paisley dress. And some final thoughts: This was not an easy challenge for me to do, and not just because it required me to do my laundry more often. It really challenged me to be creative with my outfits, but so much so to the point where I felt like I was constantly competing with the yesterday version of myself and trying to outdo whatever I had previously done. I am very happy that I pushed myself to do so, because I do like a lot of what I put together, but I am relieved that kind of internal pressure I created for myself in this challenge is over and I can move on to more important things. Kidding. Just wanted to make sure you were paying attention. *I have a feeling you should name your child Astrid, regardless of gender, because that's a wicked name. Also, 42 is a good backup for any lottery number situation. Congrats JoAnn! It was great following along. I completely understand your feeling of competing with yourself. I hated those days after creating something I absolutely loved because I felt like that no matter what I did it wasn't going to be as good. Good thing is those moments only lasted for a minute or two and then I just went about my day. My favorites are #6, 11, 17. Well done JoAnn, I enjoyed seeing the new outfit each day. I love looking at the reviews to see how each piece was remixed over and again. Now tell me, I finished over a week ago - did you skip certain days or not do it the wknds etc? I know I was one of the first to finish but I ran the 30 days consecutively to get it over and done with! great job! it feels nice to be done. I especially love 4,7,25,29! Hee! This post resulted in some giggles and the image of menacing, violent dresses. It's a pretty funny image. I have to say that I think you're at the top of my Who Rocked the 30 for 30? list. I love all your dresses and how you mixed them so well with the rest of your items. And that bride dress?! Gorgeous! 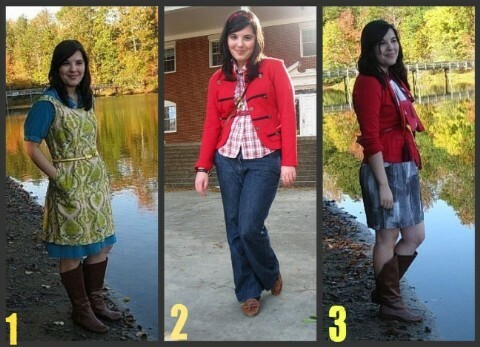 I can't decide on which on your outfits is my fave, but I'm going to go study them some more and decide. congrats on finishing! you did such a great job, and i was so happy that i found you! Astrid? You must watch Fringe too! My favorites were 9, 16, 18, 25 and 29! Congratulations! I lvoed following you through this whole thing. My favorites were 7, 15, and 24. No offense to your dresses and their apparently violent tendencies, but girl, you deserve some sweatpant time after this! Congrats on finishing! I love number 2 and 16. I love them all, but for some reason those are my faves. It was a long hard challenge, and I thought you were one of the best remixers, your outfits look completely different! 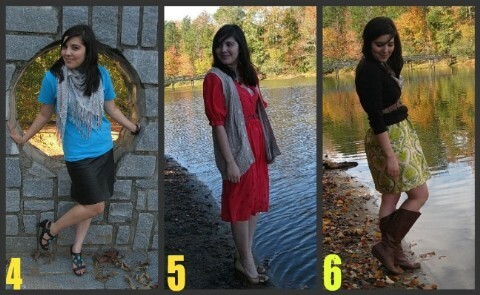 I'm amazed at how many times and how differently you wore the green dress, although I think my favorites were 15 and 21. I haven't posted everything yet, but I've finished with the 30x30 and today... I'm wearing sweatpants. To be fair, I needed to get ready super quickly and my things are totally disorganized from just moving, but hopefully my dresses aren't organizing a mutiny against me! Oh, also, love the Hitchhiker's guide reference- 42 qualifies as a good backup number in my book. Thanks everyone for your sweet comments! 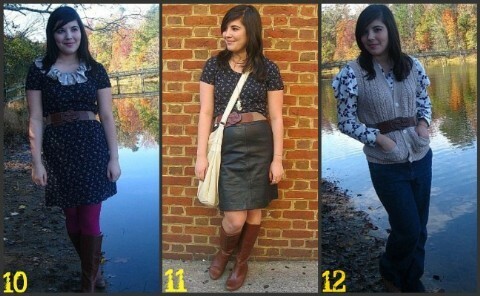 You made each outfit look so different--TOTALLy creative and awesome! Congrats on finishing. I started a little fashion blog of my own and would love it if you stopped by: http://adayinlifetoo.blogspot.com It's nothing professional. Just full of, you know, dry humor and odd poses by yours truly. *so proud* Yep. Great job on the 30 for 30! 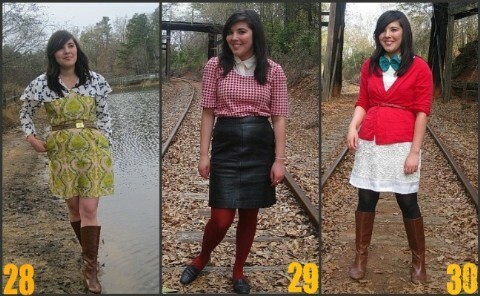 You had such creative and cute outfits, I'll miss your 30 for 30 posts but can't wait to see your "new" outfits! Fantastic challenge and I love how creative you were. Interesting how our prediction can be so off base huh? I put out an outfit for myself every night and four mornings out of five I wear something completely different. I just cannot predict how I'm going to feel in eight hours - let alone 30 days! Congrats on the challenge - it's quite inspiring! Great outfits JoAnn! 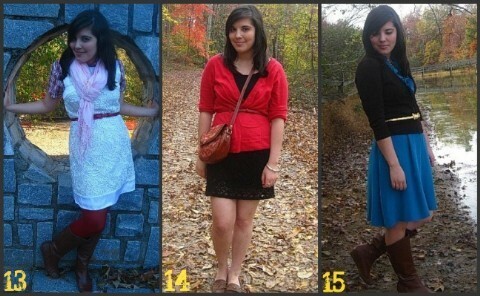 You've grown so much and have really developed your sense of style. You did some really great things with your 30 pieces and it was nice seeing them all together! Can't get over that ON skirt costing only $5! !